Though moisture is always welcomed in the high desert of Colorado, it also brings the potential for damaging weather. When that occurs, we are reminded of the sheer power of nature. In August, TTC was in the path of a severe hailstorm that brought baseball-sized hail, rain and damaging winds to the site. Fortunately, the tremendous efforts of our family of employees, our partnership with FRA, and the solid relationship and history with our insurance company all helped TTCI to safely resume normal operations within three days after the storm despite extensive damage to buildings and vehicles. Since the initial recovery effort, TTCI spent the latter part of 2018 executing emergency repairs and preventing further water damage throughout the 52-square-mile facility and 35 buildings that experienced some level of hail damage. In 2019, we will focus on executing restoration activities throughout the site. 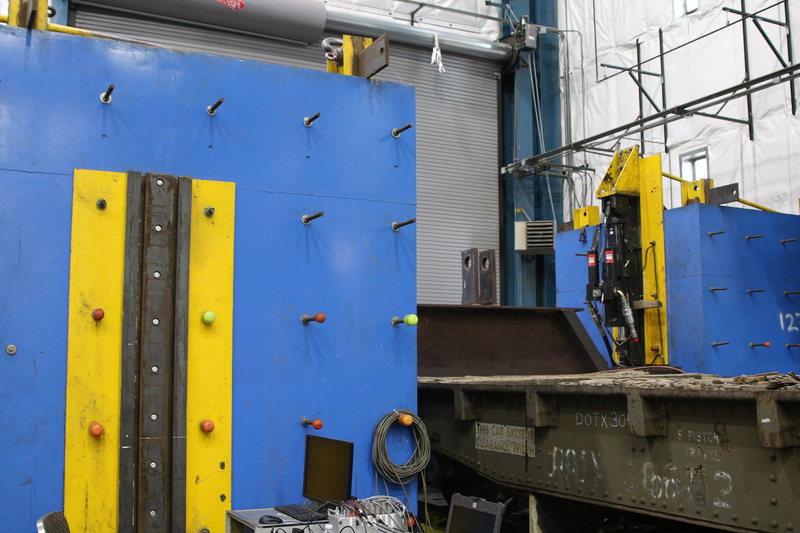 TTCI completed the design and fabrication of a new 1-million-pound load cell calibration fixture. This fixture uses the TTCI squeeze fixture’s 1,000-kip actuator and Enerpac® hydraulic system to allow for the calibration of 1,000- and 500-kip load cells, providing a new benefit to our customers. Additionally, TTCI personnel continue to make upgrades and improve normal calibrations. The 60-kip load frame was upgraded, minimizing calculated uncertainties and increasing accuracies. A 50-turn precision coil was purchased, finally allowing calibration of hand-held clamp meters to be performed on site. Lastly, a new monitoring system was purchased and installed providing more accurate reporting of temperature and humidity in a variety of calibration areas. All of these beneficial changes have contributed to improved versatility, precision, and accuracy of calibration equipment within the lab to provide better quality data for our customers. TTCI implemented some exciting new upgrades to its testing repertoire in 2018, including the complete upgrade of the Mini-Shaker Unit (MSU). Improvements to the unit include state-of-the-art controls and software, faster speed/force outputs, and reduced configuration time. The 660-Kip Test Frame and the CTL’s 2-Post Machine both received all new control software that has increased stability, safety, and created a reduced operating period. Finally, the Simuloader gained the addition of laser displacement sensors for high precision measuring of components during testing. Building on its proven history of designing instrumented wheelsets (IWS) and continuous improvements with the IWS program, TTCI has constructed an IWS manufacturing and calibration facility on site at TTC. 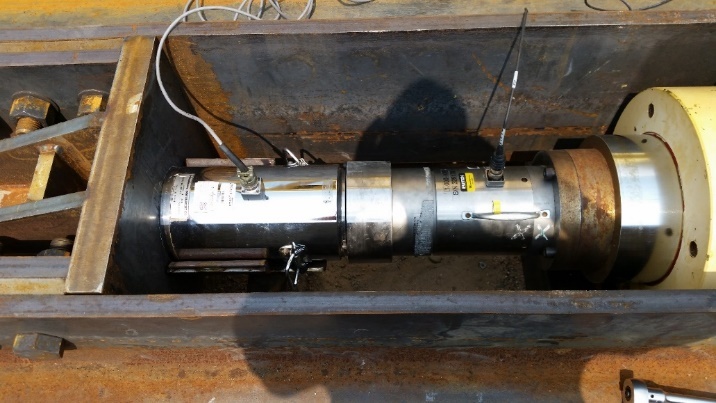 With the addition of the IWS facility — and its qualified personnel — TTCI is well-equipped to build and calibrate a complete IWS to Chapter XI specifications. With the in-house design process completed and machined wheelset in hand, TTCI can build and calibrate a pair of IWS in two to three months.